Some lawn pros might have you believe that lawn mowing is a complicated science. A few have even published lengthy explanations of how to do it correctly. In reality, the most difficult part of lawn mowing may be convincing your spouse or teenager to tear themselves away from whatever they’re doing to get it done. Once you share these five tips with them, even that should be a little easier! In just 30 minutes, your lawn will look nicer and be in better condition to fight off weeds, diseases and pests. If you are unsure how short to cut your grass, a good rule of thumb is to never cut more than 1/3 of the blade at a time. This will keep your lawn green and healthy. Mow when you’re less likely to be busy. The best time to mow is first thing in the morning or early evening. Mowing during mid-day heat may cause the grass to go into shock. The lawn mower is easier to push when the grass is dry. If you just had an afternoon sprinkle, it’s okay to leave the mower in the garage. Plus, you’re keeping your lawn healthier because mowing wet grass can spread disease. Add variety to your mowing pattern. Keep things interesting by going front to back one week, then left to right the next. Go bagless! When left, grass clippings will simply decompose, returning nitrogen and other nutrients back into the soil. This will help your grass to grow straighter, and it will keep the lawn mower wheels from compacting the soil. Just take a little off the top. Never remove more than 1/3 of the grass blade at one time. Close cuts can injure your lawn, making it vulnerable to pests and diseases. If your lawn has grown higher than two or three inches, you may need to mow more frequently until you get it down to where it should be. Leave the grass clippings on the lawn. Unless there are large piles or clumps that block sunlight, there’s no need to rake and bag. The clippings will decompose, returning nitrogen and other nutrients to the soil. 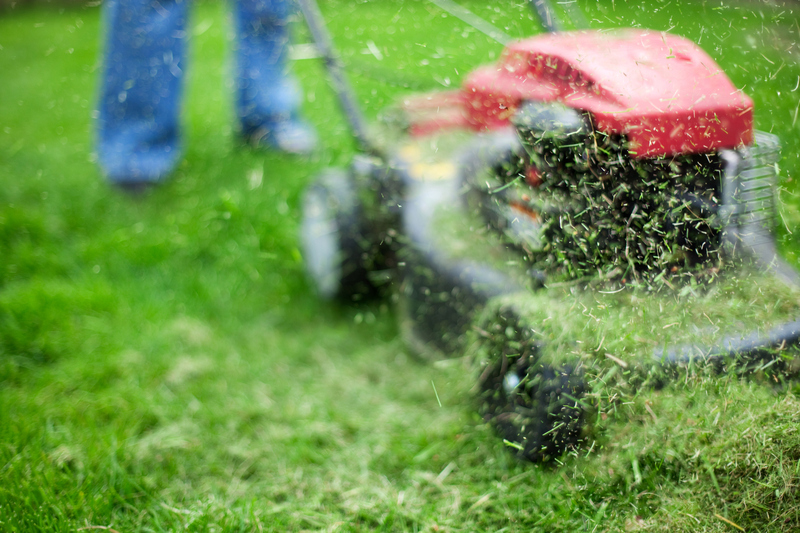 One more tip: Sharpen your lawnmower blades at the beginning of each growing season. That will make mowing even faster and easier, and you’ll be less likely to injure the grass.